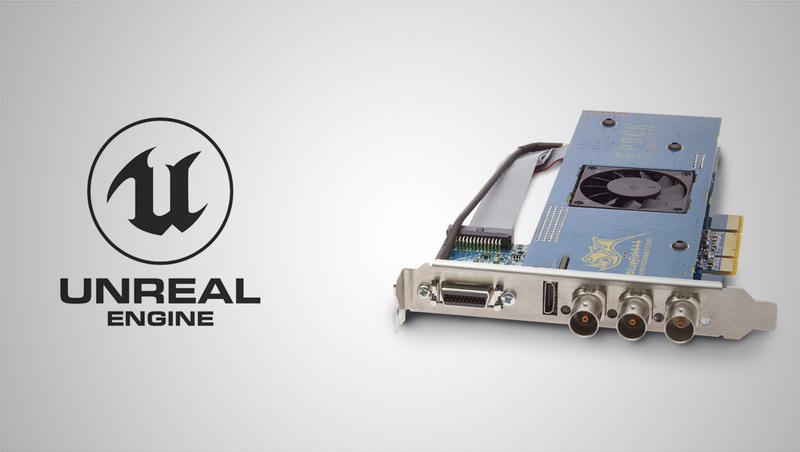 Bluefish444, manufacturer of the professional uncompressed 4K SDI, ASI, Video Over IP and HDMI I/O cards and mini converters, announces it will debut video input and output support for Epic Games’ Unreal Engine 3D. Bluefish444 have been working closely with Epic Games and industry partners to integrate support for Bluefish444 video I/O interfaces into the Unreal Engine via the marketplace. The Bluefish444 professional video SDI interface to the Unreal Engine provides workflow solutions for virtual sets, VR and AR, pre-visualization, visual FX workflows and eSports. A technology demonstration of Bluefish444’s support for Unreal Engine will be given throughout NAB Show 2019, with a collaborative workflow supported between Epic Games, NVIDIA, HP and Bluefish444. Unreal Engine will be used to generate real-time renders of virtual sets, in-game experiences and photo-realistic images powered by the Hewlett Packard Z8 G4, and an NVIDIA Quadro RTX 6000 enabling hardware-accelerated ray tracing with the final SDI and HDMI output from the Bluefish444 Epoch 4K Neutron.